The future is here and this is what it looks like. Millennials are growing up and making way for the new generation of young consumers, Generation Z. The youngest of this generation, born between 1995-2014, are now graduating from college and becoming an important part of our economy. In the United States today there are 60 million people who make up Gen Z exceeding the number of millennials by a million. A culturally diverse group who has never lived without a cell phone or the Internet, Gen Z looks very different than their predecessors. 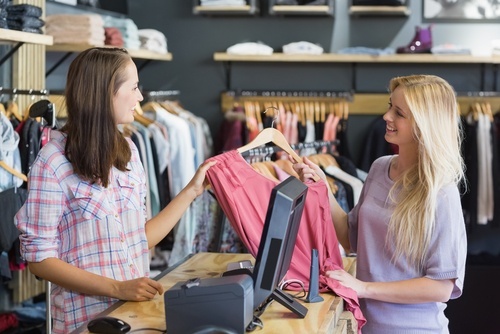 Mobile is their number one device however, they still want the in-store experience. Because of the technology, these are well-informed shoppers who, most times, walk into a store knowing exactly what they want. 67% want to go to the brick and mortar store “most of the time”. Why? They want to interact with Sales Associates, ask questions and enjoy the overall experience. Products that almost always drive them to the store include, shoes, makeup and clothing. These young shoppers have access to $44 billion in buying power but tend to be less likely to accumulate “stuff” than a millennial. When it comes to issues like sustainability, Gen Z is even more informed and concerned. Having a deep connection with brand is also important to them. They strongly believe they have the power to make a difference. Brand loyalty is not as important to them. They are demanding and impatient so if a brand doesn’t deliver, they have no problem switching. These are sophisticated consumers to whom the balance between online and brick and mortar stores will be crucial.